If you’ve read any of our other reviews, you may be familiar with our thinking about dark chocolates: in general, we believe the sweet spot for dark chocolate is somewhere between 60% and seventy percent. 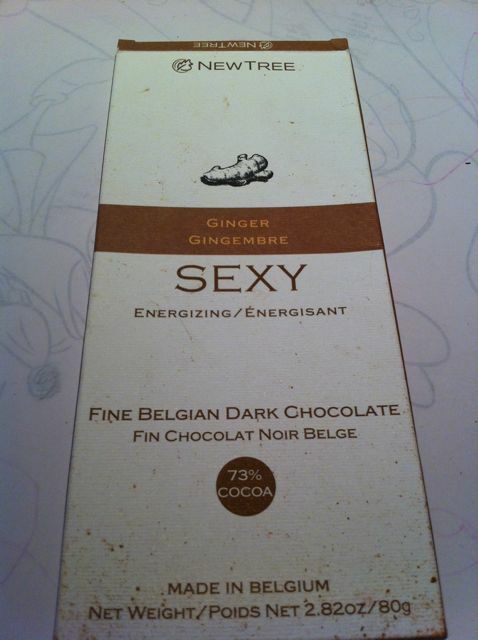 Here then, is a chocolate that makes a strong case for one just outside our sweet spot spectrum. 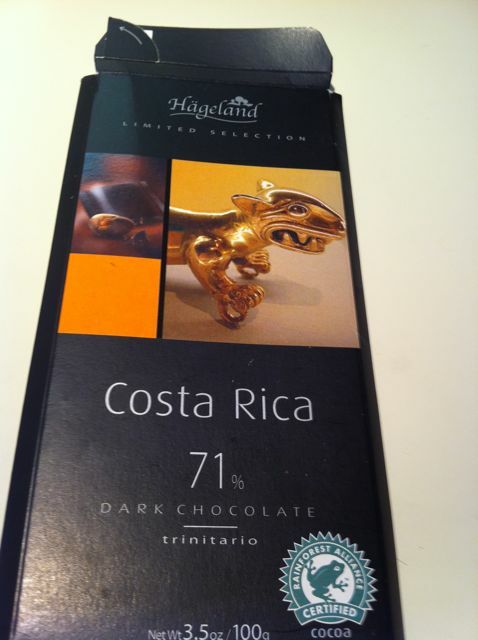 One of two dark chocolates made by Hägeland that we’ve tried, this is a middle-of-the-road 57% dark Belgian chocolate. 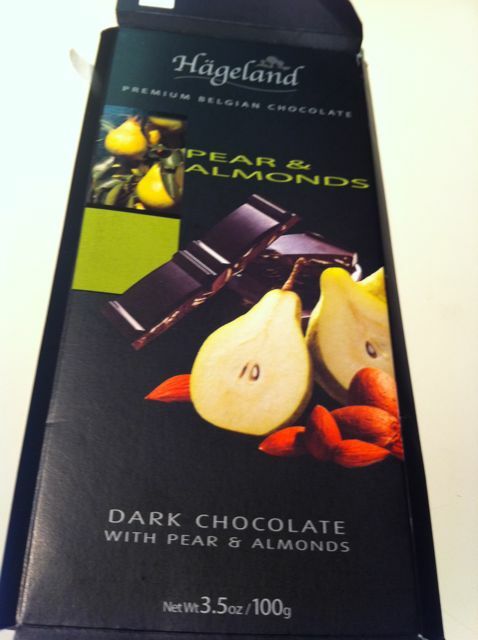 Mixed in we find pear granules and almonds, an interesting combination of notes for this chocolate. The pear hits a clear, high note, nicely complementing the sweetness in bittersweet chocolate. 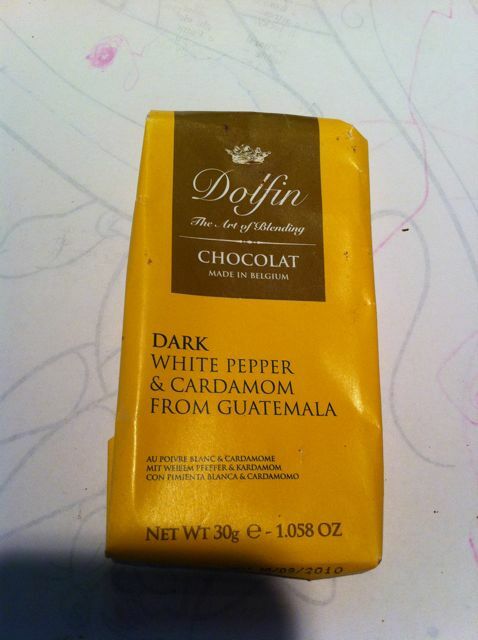 Finally, we get to the third of three Dolfin chocolate bars in our Belgian-pepper trifecta. And, I think this might even the best of the three. 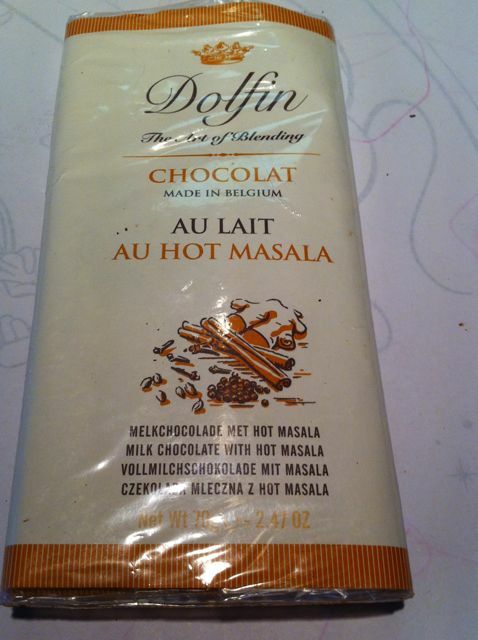 Dolfin is a fantabulous Belgian chocolate maker. They have a number of interesting sounding chocolates, so on a recent trip to NYC we picked a couple up to try. Two words made this an easy pick: hot masala. 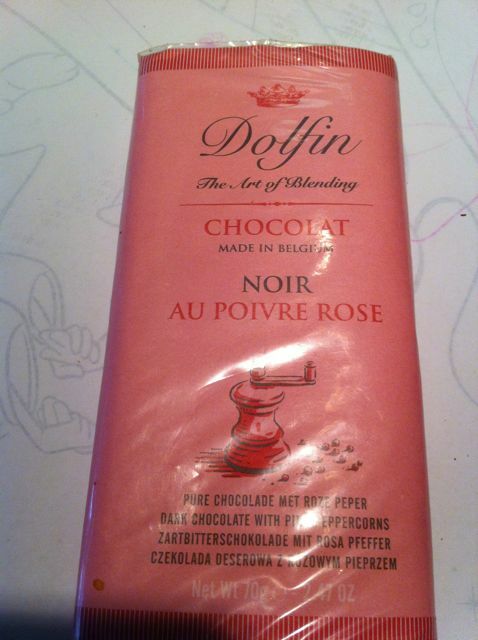 Another interesting chocolate we picked up courtesy of our friends at Chelsea Market Basket in NYC. It has ginger flavor, and, unexpectedly, guarana extract. Yes, it’s Red Bull in a chocolate. Compared to the Frey orange dark chocolate, the orange flavor is much more even and subtle, but the freeze-dried orange peel itself is distracting. 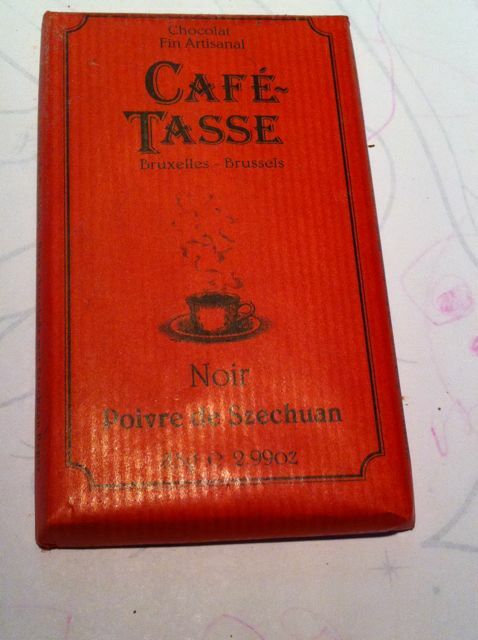 The chocolate is nice – the Belgian dark chocolate is smoother, more buttery, than the swiss counterpart – but it’s just those damn peels that get in the way.